First shows you an image of a 2014 Great Wall Hover H6 car stereo after installation from Seicane. When you are going to replace your factory radio, you may worry about the installation is too complicated and dare not install it easily. 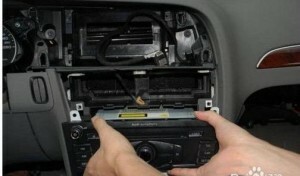 As a matter of fact, to install a car stereo is not a job specific to a professional. With some related installation experience and a correct installation guide, you can even finish the installation at your home. If you are a car owner of 2014 Great Wall Hover H6 and find your dashboard is the same as that above, then you can refer to the following detailed Great Wall Hover H6 car stereo installation guide to help with your installation. 1·Remove the original panel with a plastic knife, pry gently along the gap and pick up the panel, then remove it and then set it aside. 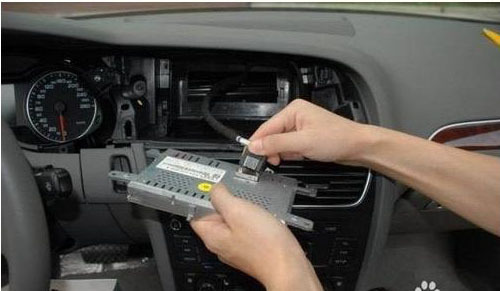 2·Remove screws that fixed the radio on the dashboard. 4·Unplug the connectors at the back of the factory radio. Make antennas and cables connected step by step as installation instructions show, and you should be very careful when you are doing this for it will affect whole procedure. 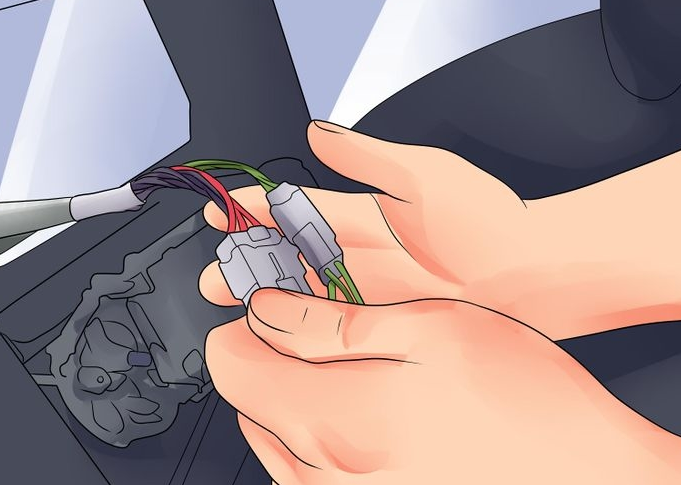 6.Put the new Seicane car stereo into your car, you should check whether your connections are correct, and you’d better have a tidy for the cables. 7· If everything is OK, firm screws into their original place. 8·Firm the panel on the new Seicane car stereo. Finally the new Seicane car stereo is installed and a comprehensive test should be conducted on the new radio. The above are all the installation steps for a Great Wall Hover H6 car stereo. If you want more information or have any questions, you can ask your dealer or a professional for help. If you find it too hard to understand all the steps, you can go to a car upgrade center to install it. Wish it can be helpful for you. Due to the upgraded Android 4.4.4 and the Quad-core CPU, you can enjoy a smoother and faster performance. By wirelessly connecting your compatible cell phone to this unit, you are able to stay focused on the road ahead and keep your hands on the steering wheel control to make and receive calls to keep safe. In this way, you can also listen to your favorite music of your cell phone or other devices. Find the way with the built-in GPS navigation system, you can go anywhere without getting lost any more. Wish you can get some help from this article and enjoy your new Great Wall Hover H6 car stereo in your car. As more and more people start to equip their car with DVD player navigation, in order to keep up with the trend, you may heartbeat by this. So, you decide to buy a fashionable car DVD player and you go to the shop and see various kind of DVD navigation and be confused. The reason why you confused about may be that you are not understand the product at all. Therefore, before you go to the shop, it’s very necessary for you to do some little homework. 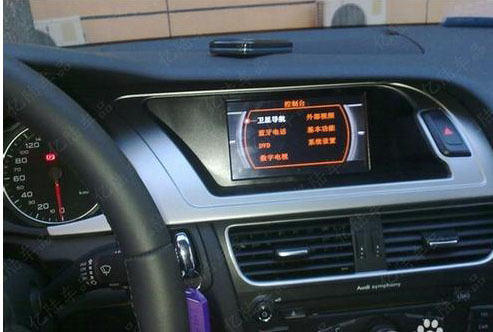 You can refer to the following internal parameters for car DVD player navigation system for Audi A5(2008-2013) . More information about the device you can visit: www.seicane.com . 4. LCD and touch panel. Second, The basic principle of all-in-one DVD navigation. General mimic panel audio processing characteristics: front audio output voltage is generally between 1.5 V – 1.8 V, this type of audio output voltage is not meet the requirements of the power amplifier audio input, general power amplifier is above 2 V, the level in Europe is in more than 3 V. So host mimic panel can not added power amplifier, if added will generate the cause of the noise. Listening with the original car’s speakers, the sound quality can’t compare with the original car CD players, not to mention the stand or fall of quality. The key of Video processing is the definition. At present, a lot of manufacturers claim their products are digital screen, the screen resolution is 800 x480 = 800 pixels, analog screen resolution 400 x234 = 93600 pixels. This can only mean this product adopts the digital screen or mimic panel, does not represent the real resolution of the host, or pixels (clarity). And this process is completed through the host board and baseboard of the video signal. (1). LCD digital screen’s technical parameters. a. The distinction between high color and true color screen is that the price is not the same, the price of true color is higher than the high price of color screen. b. The brightness of the display parameters is generally from 250-500, the brightness is above 450 can be classified as car Car gauge panel. That is to say, it can be used in the car, and under the bright light can clearly see the image. d. All digital screen resolution is 800 x 480 – this limit can never be reached, only infinite close to, the key is to see the video signal transmission circuit, digital circuit. (2). Digital circuit design and transmission. Digital signal of the vehicle display is use: red, green, blue three kinds for color transfer, there are eight primary colors of each color, can also be interpreted from the host read laser disc, at the end of the input to the LCD screen to ensure that the signal is 3 b* 8 = 24 primary colors. This is the digital circuit, the transmission way of all kinds of digital signal can’t be lost. Digital screen using a digital circuit is of 24 primary digital circuit design, and then transferred to the screen of the signal. 3. Radio turner. At present market, there are more and more manufacturer of radio high frequency head reflected that the radio signal is not good, has the current sound and noise, the main radio tuner anti-jamming ability is weak, it mainly because of the radio frequency head price. Now as the price of the original car or shape is differ, in low-grade cars, when use after may install cameras, camera will not work or a flashing phenomenon, the main reason is that the original car of lamp power supply is not enough, did not reach the host need 12 v voltage. And some cars taillight voltage is only 8 ~ 10 v (mainly ashkenazi car), cause the host could not be started normally. The above video is about the car DVD player navigation for Audi A5(2008-2013) , take a look, it will provide you a better visual experience. At present, there are more and more car DVD player navigation products on the market, which may make you feel confused when you need to purchase a new one for your loving car. You may desperately need to know the purchase tips for your car. Generally, the purchase tips is no big difference for different. The following passage is talk about the purchasing tips for car DVD player navigation. That may help you when you need to buy one for yourself. 1.Estimate its basic configuration (hardware is of good quality is guaranteed). First for DVD navigation, it is need to meet the basic functions of the DVD. It depends on the movement skinhead, which involves music, sound, audio quality and the sound quality deeply affect DVD. A good DVD uses a dual optical drive , that is, DVD, CD optical drives. Be sure to ask before you buy it, you need to compare multiple DVD players, choose the best one. Generally the price is relatively high the sound quality is higher, the owner can choose a best value for money. 2. The second is the images and Machine proportioning. There are two kind of DVD navigation screen, one is the simulation screen, now a relatively rare, another one is a digital high-definition screen. Now DVD navigation are generally 800 * 480 pixels, and generally there are two cases, (1). an analog electronic circuit + digital screen,(2). digital screen + digital circuits. The first case is that there is aberation and can not reach 24 true color, usually 16-18 bit true color, while the second is almost close to 24, that is, when we look at the screen it will be more clear. When buy DVD navigation the best choice is to select a dual-core model, which is dual-core CPU with two separate processing system. And the two CPU can not interfere with each other at work, which can ensure the accuracy and efficiency of navigation. Before we buy the car DVD player navigation, we need to have a basic understanding of the DVD navigation device’s function, if you encounter some products do not have the basic functions in a timely manner to navigate and do not buy this product, because mostly they are fake products, whichcan not be prolonged used, but also particularly vulnerable to damage. Users frequently need to repair, thus wasting a lot of energy and money. 3. Depends on it’s basic functions (whether all the functions can meet your needs). You need to figure out the DVD navigation’s basic functions, such as DVD player / radio / SD card / USB / Bluetooth / Rear view camera / GPS / AV input / party control settings. 4. Peculiarity: Only with peculiarity, can the device embody the owner’s taste. Compare with similar products to find out what the difference is. When compared with other brands if there are some other differences. For example, whether the movie Playback can play 1080P HD decoding, whether it support for 5.1 channel audio conversion, whether it possible to listen to music when playing APE lossless music, and whether it can swim 3G networks. Whether the navigation can supported 3D photo navigation, the background color of said light is stepless adjustment, radio acceptance is not there we will be able to understand the Chinese see the radio function is not to have a sound e-book reader, when precise GPS automatically granted, is not supported by large-capacity mobile hard disk information, we are now most people are used in smart 3G phone, the battery is not enough, is it possible to charge the phone, and so on, if there is a navigation are available, and that it is very suitable for our needs. It’s not hard to buy a car DVD player navigation, the hard point it’s to choose the best one for you. View the following video, you may find the unique of the car DVD navigation. GPS systems have a broad-spectruns. A GPS tracking system tracks packages or shipments. Shipping companies use tracking GPS systems. Personal GPS systems help those lost drivers to find their destination. GPS systems will also direct the driver around traffic jams and save a lot time during the commute time. There are no tools involved to install a GPS in a car. Installation only takes a few minutes. A GPS is a useful investment for those who travel frequently. To install a new car DVD player for your own car is not a big deal, but many people may think about the question how to update the navigation software? As the technology is of rapid development, so constantly update the naviagtion syetem software for your car DVD player GPS navigation is very necessary. So, how excactly to update the car naviagtion system software? Here, i’ll take Audi A4 2013 as an explame to explain the update method for the navigation software. 1.Find a suitable navigation software. How to know whether a navigation software the proper one? Resolution matching is the most important, such as your navigator resolution is 480 * 234, 480 * 272 may not be used or 800 × 480 version of the navigation software. If the resolution does not match the navigation software, will appear scrat, overflow screen, not full screen, black screen, button dislocation, even can not start, start the error or the phenomenon of death. <1> read the instructions. All products will be stated in the specification of general description. <2> to manufacturers or dealers to ask. <3> use of software testing. Resinfo and Navi examine are test software is good, the two software download and introduced, at the end of the paper will focus on the paper. Download channel, believe me, no need to say more, but search the Internet bubble forum, etc.. Source or a lot, a first step towards understanding the content, it is not difficult to find a suitable navigation software. We usually look for other software but is this a few methods. But the navigation software is quite special, special is the place where the file size is too large. The general software, a few megabytes, tens of megabytes to almost the same, The navigation system mostly is about 1.5G, the maximum has reached about 5G. This and the amount of data is directly related to, but with the continuous increase in map information points, believe that the volume of software will be huge. This software is not on a web site space, but is uploaded to the Internet professional SkyDrive space available for download. Decompress all understand, is the decompression software, combined perhaps some people confused. A navigation software is divided into two parts of the main program and map data (map data is also called “mapping”, some netizens nicknamed “rabbit”), many downloads will be the main program and map data are published as two links. This is because, with a navigation software with the use of map data, the main program for different versions of the same version and, vice versa, such as the earth, 800 x 480, 480 x 272, 480 x 234, 320 x 240 these resolution navigator to correspond to four Rucker main program, and map data you can use the same, so publishers, only released a map data, four main program on the line. Reuse that can make the resources, saving the upload time, and everyone to download the same map data, according to the P2P principle, also improve the download speed, for the benefit of both uploads and downloads. 1, the test port and speed: generally a navigator of the port and speed are fixed value, installed in the navigator on the navigation software is required by this value is to ensure that the received satellite signal. Port and speed by NAVI examine to test out, of course, there are some other test software is available. Step five: Setting the navigation path. 1.A navigator only installed a navigation software. The most simple, general navigator settings have navigation path settings, the path to the executable file. 2.A navigator with multiple navigation software. The first installation of multiple software, and then the navigation path navigation to the multi software executable file, at last set multiple software to the navigation software executable file. So open the navigator will first open multiple software, through multiple software can choose a specific navigation software to open. Step six: Test and use. The above steps are done, if true, you can use. The normal running of the program, the star, not normal, do not jump star drift, accurate positioning is normal. The following vedio is about the car DVD player naviagtion for Audi A4, view it and you will get to know the device clearly. More information you can also visit: www.seicane.com. You must be pleased with the functional car DVD player navigation when driver wherever you want, but have you ever think about what to do if the GPS navigation has a problem during your journey? And how to solve that problem quickly and get out of that trouble as sooner as you can? The following passage is about how to solve that kind of problem for Audi A3 when it happened to you, view it and you may find something that useful to you. 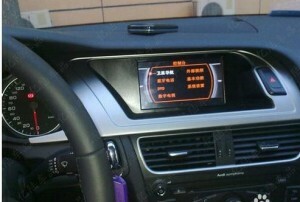 First, the car DVD player naviagtion can not receive signal from satellite and unavailable to positioning. 2. The map satellite research port and Potter filter is can not match, you need to change the map collection star port and Potter filter. 4. GPS antenna damage; replace GPS satellite antenna. Second, the device can not paly TV. 3. If no local television signal coverage area, call the after sales service telephone or log on the dealer’s website. Third, can not read card. 2. The information of the card is lost, please call the after sales srevice telephone or log on the dearler’s website. 3. If the machine does not read card; please call the after sales srevice telephone or log on the dearler’s website. Fifth, the car DVD player navigation system can not read USB. Sixth, no reflect when touch the screen. Seventh, the screen touch is not precise. Eighth, can not start the system. 3. Anything wrong with the machine; please contact the dealer or depot repair. Ninth, The main interface of the boot. Tenth, no sound when play music in the fromat of MTV. The machine card inside the MTV data using the wrong; contact the dealer to replace. More detailed information about the car DVD player itself you can view the following video and visit the website: www.seicane.com . 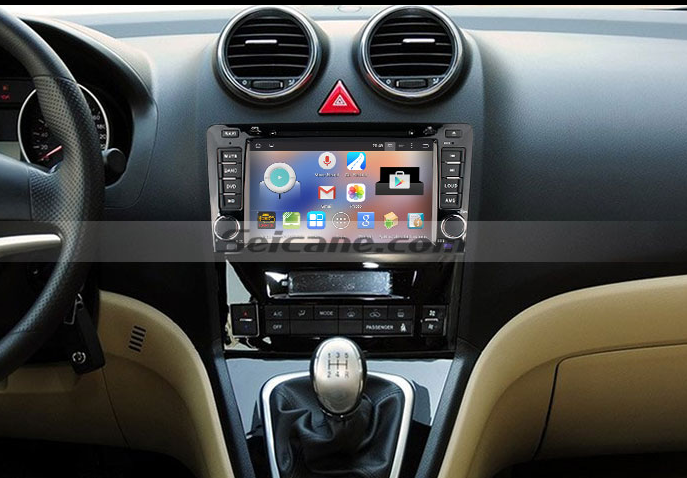 How to remove car DVD GPS navigation system for Audi TT with rearview GPS ipod TV ? Most car owners must know their car very well and can diagnose what problems happened with their car when the car stop working during their trip. For your loving car, do you know every part of it? For example, how much do you know about the car DVD player GPS navigation? After purchased it from the automotive supplies shops must be confused about how to install the new device in your new car. Some people may want to let a professional help they to do this job, but you may still with hesitation. Because it may cost you a lot of money. So, how about do it by yourself? But some people do not know how to install the navigation, how the original car dvd navigation unloaded, how to install a new navigator.There are some owners are not familiar with this job because the installation process is a lillte complicated and struggling, and even trap in the self-defeating situation.So how to remove the car DVD player navigation system properly and install the new one is really a diffculty thing. Let’s take the Audi TT car as an explame to explain how to remove and install the new car DVD GPS navigation system for your car. 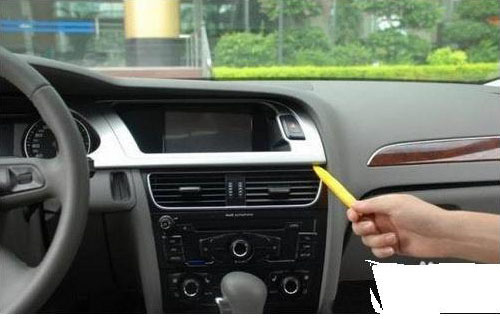 During the car DVD navigation removing process, the owner have to know some basic installation considerations.First, you should figure out whether the car DVD player navigation is of analog or digital display screen and must have a better understanding of the navigation electronic map’s upgrading . 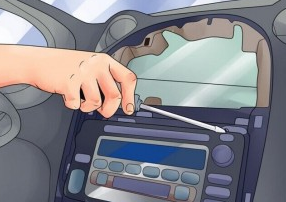 Finally, let’s explain the specific installation process that to be operated, prepare a Phillips screwdriver and a flat-head screwdriver, remove the shift lever cover, unplug the cigarette lighter cable, unplug the air conditioner speed switch, with a Phillips screwdriver to fix it. Tighten the screws with a flat-blade screwdriver to remove the air conditioning control panel, respectively unplug each lug with a Phillips screwdriver to unscrew the four screws fixing the CD, from the inside out with a flat screwdriver to pry the central outlet, not too much attention to the intensity. .So you can easily put the original car DVD player navigation unloaded, then the owner can remove in accordance with the process to buy a new navigator reinstall up to complete the entire car DVD navigation of the installation process. Enjoy the following video, you’ll have a basic knowledge of the car DVD navigation for Audi TT. How to upgrade Audi A5 (2008-2013)car DVD player GPS navigation with Bluetooth audio TV ? To upgrade the original car DVD player navigation for Audi A5, you just need to using non-destructive installation design, all wires connected by a dedicated connector on the plug, do not move the original car wires, of cause does not destroy the vehicle warranty.The system is installed in the original car system to increase the corresponding function is to seamlessly upgrade the original car’s system, and the use of non-destructive design, even if the system fails, the original car system is also not affected. To find more information about this high technoledgy, you are welcomed to the website : http://www.seicane.com/. Rocker tilt the screen with a plastic decorative frame. 1. Will the Audi car DVD navigation upgrade affect the car warranty? No. During the installation process also mentioned above, the line connecting the upgrade process are based on the plug-in, and does not involve damage to the line, so it does not affect the car involved in the warranty, the real non-destructive installation. 2. 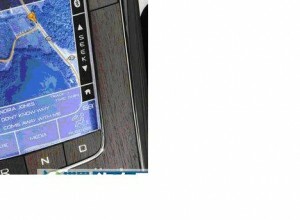 What are the advantages of the navigation screen to upgrade the original car? 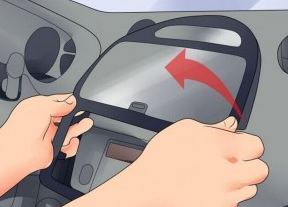 No waste of the original car screen, but also perfectly compatible with the original car, does not affect the normal use of the original car other features. 3. Audi car DVD navigation upgrade process requires attention to what? Air conditioning vents on either side trim easy Diaoqi leave skid marks, split the middle of the outlet can be removed when using dark forces pull it; the operator should pay more attention when wiring. View the following video, you can know more about the product. How to Install Car DVD Player for Audi A5(2008-2013) with Bluetooth? At present, with the improvement of people’s living standard, more and more people pursue more entertainment. With the car being an ordinary thing for human’s life, Car DVD player navigation is also an absolutely necessary equipment for car owners. After spend a lot of money with your car, most people may think about to install the device by themselves. It a more meaningful and economical method. But how to install must have no clear knowledge about how to install this device. Here, I’d like to share something about the installation of car DVD player. 1. 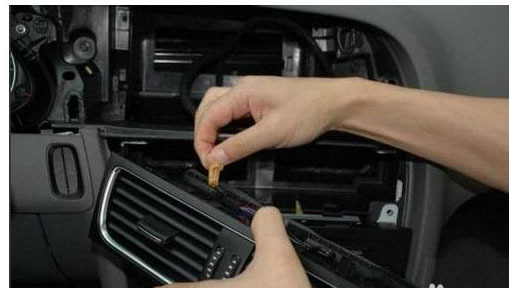 The first step is to remove the cap of the car DVD player, and then disconnecting the battery or remove all those components inside the car. While you doing this process, you need to be careful and stripping the positive and negative cables which connected to the battery. 2. Remove the car stereo. Find the fixed screws in the car stereo and remove them so that you can easily remove the car stereo. 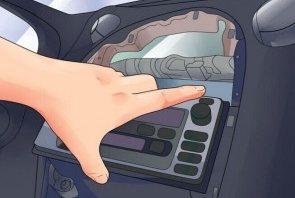 In order to access to the stereo, some parts of the panel may need to be picked off. 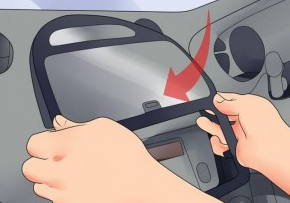 By doing this, you must be very careful to split the wires between the car and the stereo. 3. Connecting the wire harness. In this step, you need to finish the layout of the wire harness which behind the dash with plastic wire ties. Be careful and make sure that that the wire does not interfere with each other and keep safely operation of the vehicle. 4. Place the location for each components and power connects. Now, you need to find the best location for each component. Remove the panel to finish the layout and conceal wires. 5. Insert the car DVD player. 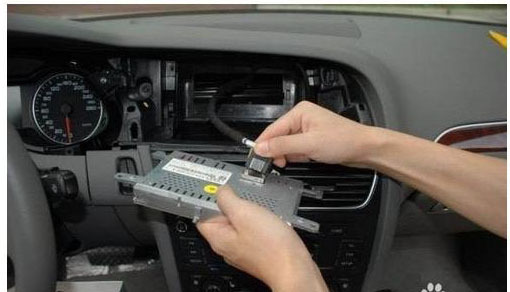 Use a kit head unit to connect the DVD player to the dashboard. Because different car has different dashboard, so you need to make sure the head unit you choose is proper for your car. Then, insert the DVD player navigation to the head unit. 6. Install the navigation module. Like an external amplifier, the installation method is no difference here. You need to find a good location for it. 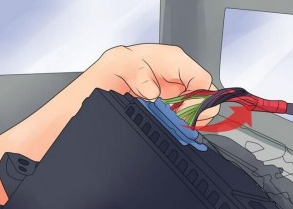 You need to connect the unwired end of the wiring harness to the back side of the panel of the car DVD player. Then, connect the car’s antenna cable to the rightful input location on the panel of the DVD player. 8. Insert the DVD player into the dash carefully and test the power system. After the wires are connected between the DVD player and the car, you can insert the DVD player with the installation kit and tap it into the dash. 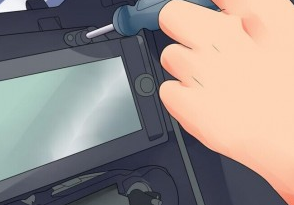 Use the screws to fix the dash which you removed. Reconnect the battery cables and make sure they are secured. After you finished installing the DVD player, you can start the car and see whether the device can work normally. For more information about the product, you are welcomed to our website: http://www.seicane.com/ . Please view the following video, you may have a quick understanding of our product. How mysterious is the all-in-one car DVD player navigation? According to many years’ working experience, car DVD player navigation is the simplest IPC, and can also regard as a big PDA with simple functions. 2. The internal parts of this product are: mainboard, CPU, RAM, ROM, display chips and audio chips. 3. The better product of this type is the Auto PC, and provides hard drive, which replaced RAM/ROM, while the rest is the same. 4. The software that developed on the operation system. Almost all the all-in-one car DVD player in the market offer variety of language options, but it lack of technical content, and the export price of the foreign countries is very cheap. Different all-in-one car DVD player navigation system equipped with different operation system, such as win97, win 2000 and win xp. So, how to distinguish the quality and cost performance of such device? 1. Whether it use multi-core processor. The best way is see whether other program can be operated while open the navigation. The disadvantage of the early single-core processor is that when you use the navigation, you can not listen to the radio, or play DVD and CD. 2. The Bluetooth protocol version number and whether it support A2DP or not. The outdated Bluetooth protocol can make the signal lost and speaking unsmooth when the cell phone connected with the navigation. While the bets advantage of the A2DP is that it can play all the audio which support Bluetooth through the car DVD player. No practical use, but feels good. 3. Whether adapt the digital panel. There is no big difference with the touch screen, the key point is the display chips. 4. Whether it has external port, such as USB port, AUX port. 5. How many loudspeakers can it support? It’s a pity that the lower-middle all-in-one device can only support 4 loudspeakers. If the loudspeaker is more than 4 and you do not want to lose the media effect, then you have to buy another power amplifier to connect the GPS navigation or spend a huge money to buy a better all-in-one device. 6. Support malfunction steering wheel control. Along with the development of car technology, more and more lower-middle cars can support steering wheel control. 7. GPS chips. The kind of chips directly determines the quality and the speed of the satellite search, and it is an important index. 8. Extended function and software port, such as tire pressure monitoring and whole vehicle fault information gathering. 9. whether the color of the background light is in the same style with the original car. Now, after my sharing, you must think there is no longer mysterious with car navigation. And you must want to know more about the products, click here http://www.seicane.com/ , you will find many wonderful products here just like the one in the following video. How to safely use Car DVD Player GPS Navigation System? Many car owners think that the built-in car navigation and AV products can perfectly match while driving. And nowadays, the car audio navigation has become the basic options for their car. But with the widely application of this device, the problems of the car DVD player navigation and audio-visual products has increased. This make many consumers got a question here: Are those car navigation and audio-visual products can guarantee their safe while driving? 1. Hidden danger one: The battery overheating. Recently, the global line of Garmin GPS navigation manufacture announced to recall millions of car GPS navigation and offer free battery exchange which because of the battery overheating. 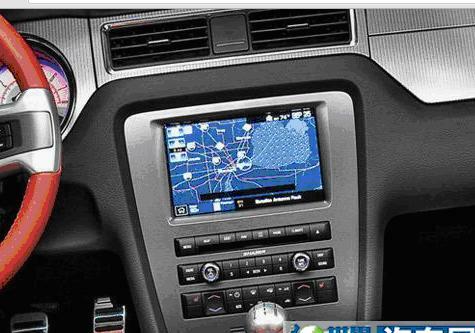 Thereafter, the China manufacture begins to exchange the GPS navigation for some models in China market. What the influence will the overheating battery bring? The answer is that the signal will be very poor, and more serious could cause explosion and cause fire. Are you still daring to use these products? Those common electronic products such as computer and cell phone, the battery use length is very important for the safety. Because many consumers seek to buy those cheaper products with poor quality, the battery products of the navigation products is always worrying. 2. Hidden danger two: The piracy map. According to the country’s regulations about car DVD player GPS, the products must use the identified electronic map by the national specialized agencies. But those GPS navigation with standard electronic map is often very expensive because of the huge investment. 3. Hidden danger three: The big radiation. When choose a car DVD player GPS navigation, do not just simply consider the cost. Last year, the AQSIQ aimed at the GPS navigation with a large-scale spot check. And they found Flyaudio, Roadrover and some other famous GPS navigation brand’s radioactivity range is out of the standard level. In fact, there are many less known car GPS player navigation in the market and because of too much radiation harassment they are disqualification. Radiation disturbance means the intensity of electromagnetic wave that launched by electronic products is beyond the regulation limitation. Generally, if the intensity of electromagnetic wave is too high, the users may get headache, insomnia, memory deterioration and some other negative effects after using the product for a long time. In China, the traffic laws does not affirmative disclosure the car DVD player GPS navigation and car audio products is forbidden. So, the operation frequency is a little high in our country. In act, electronic products that connected with our life such as cell phones, laptops and TV have potential dangerous just as the navigation system. Because of the improper use habits, the dangerous situation can not be avoided. If we want to make the car DVD navigation become a safe product, the first thing we need to do is that let the users operate the device in the right way, then in this way, the dangerous probability can be reduced. When use the car DVD player GPS navigation, safety comes the first, so the user must carefully read the disclaimer and precautions for use first when starting up.